Landscape construction documents were prepared for this retirement facility with water feature, fountains, and gazebos placed in a courtyard for the residents enjoyment. 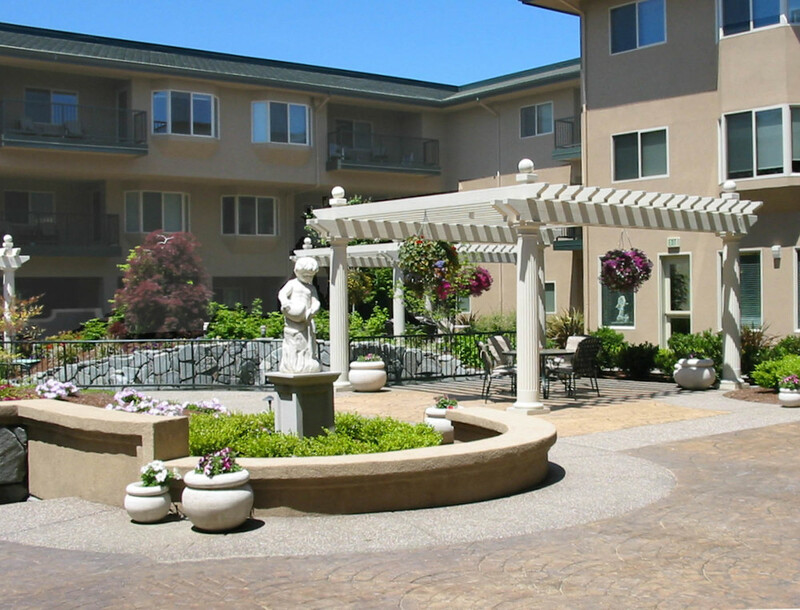 Landscape construction documents were prepared for this retirement facility with water feature, fountains, and gazebos placed in a courtyard for the residents' enjoyment. A plan for improvements to Larson Creek which is located next to the building was considered very important. The firm worked closely with the Oregon Department of Fish and Wildlife in creating a plan to slow winter water flow, create ponding to enhance salmon habitat, restore stream banks, and protect them from continued erosion and provide shade. Existing mature trees were preserved and an array of native shrubs and trees were densely planted. A gravel path/ access road enables residents to enjoy the creek close up, and will encourage further connectivity to the watershed.